Summary: It all started with a simple question in April of 2012. Jacob and his dad were riding in the car and Jacob asked, "Papi, what are we listening to?" The answer was, "It's a podcast. It's a recorded radio show like how we record TV shows at home.". Jacob's response? "Can we do that? Can we have a podcast?" Our first episode went live on May 2, 2012.Two years, five months and sixteen days later we recorded our 50th episode live in front of an amazing crowd and it was awesome. This ride has been an amazing adventure and we hope everyone that has been a part of it continues on with us and those that have just discovered us come along for whats next. Episode 50 is here. Enjoy the show! ♦ [27:52] Question 1: What is the name of the 1984 12-issue comic book event published by Marvel featuring a new villain named the Beyonder? ♦ [30:30] Question 2: DC just announced the slate of movies in their shared universe. How many movies did they announce? 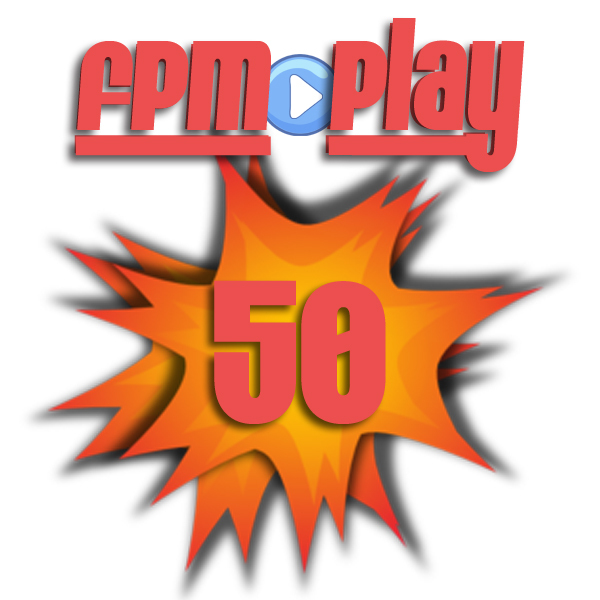 ♦ [32:27] Question 3: What was the first thing that FPM Play reviewed back in May, 2012?